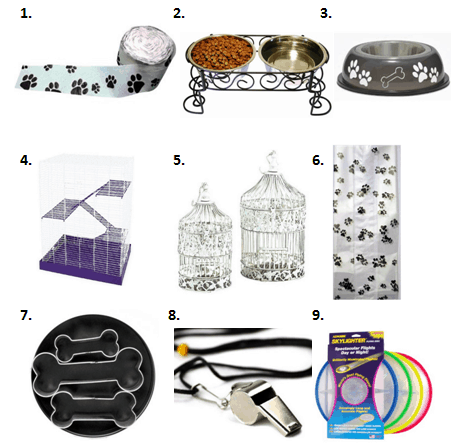 I am so excited to share these Pet Shop Party ideas with you. I’ve been brainstorming these ideas for a while so it was so much fun to finally put it together. I have to send a big THANK YOU to Michelle of Michelle’s Party Plan-It who turned my scribbled notes into an adorable printable party package. I have a lot of ideas to share so let’s hop right into it! First I’d like to start by sharing a video that Sasha of Silver Frame Productions helped me put together. 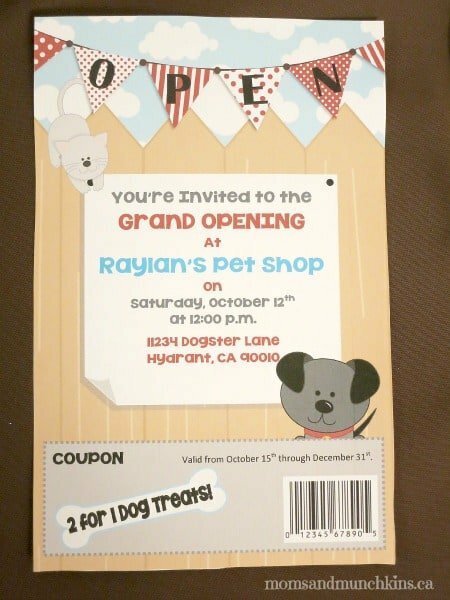 Since this is a pet shop themed party, I wanted to create an invitation that looked like a store’s Grand Opening celebration. The coupon on the bottom is such an adorable touch! 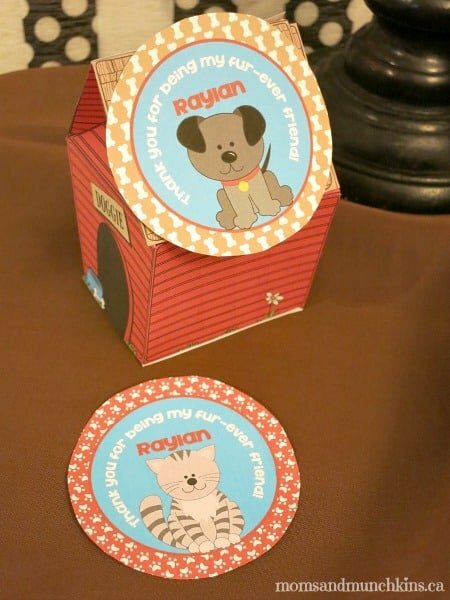 You could even have a “Coupon Zone” at the party where guests can collect the products that go along with the coupon of the week. What does every business need on the outside of their store? An open sign! 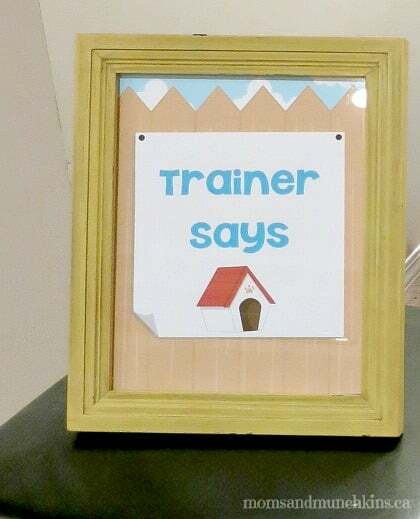 This cute sign could be hung on the front door leading into your party. 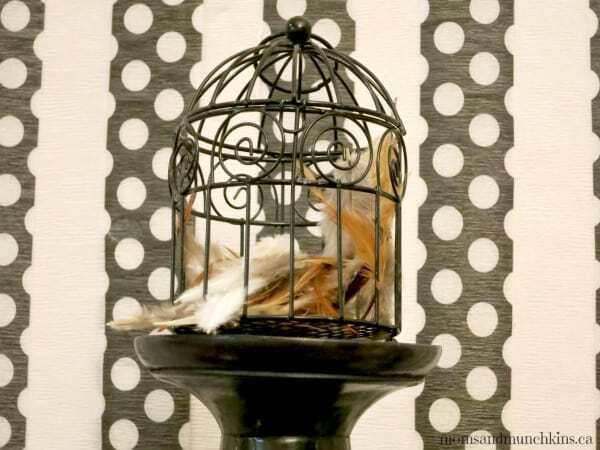 For a party backdrop, I alternated white streamers with polka dot streamers on the wall. 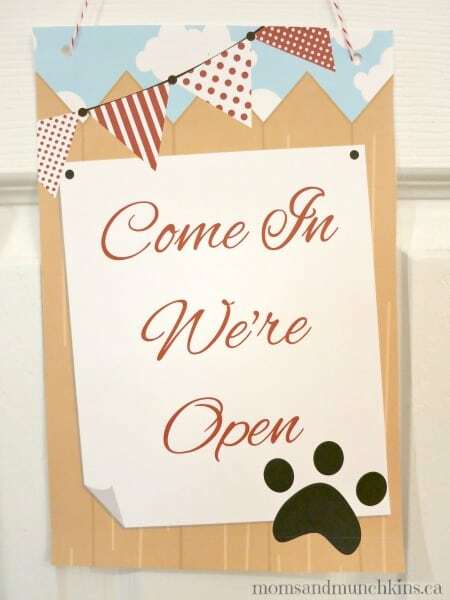 Another fun idea would be to use paw print steamer paper or to create your own storefront awning above the food table. To give the table some height, I used tall candlesticks to hold up mini birdcages filled with features. Sometimes the sillier the game is the more fun they are to play…and these games are super silly! 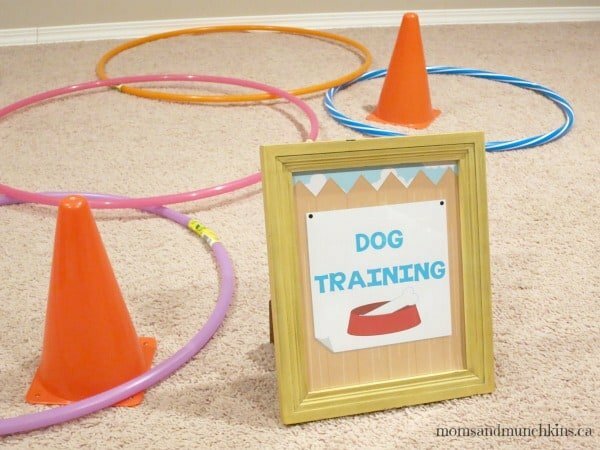 Dog Training: Your little guests can have the opportunity to act like some playful puppies in this game. You can set out some pylons for them to run around, hoops for them to jump through, flying discs to catch, streamer paper “poles” for them to jump over, boxes for them to crawl through, finish lines to roll over, etc. Then when the leader says a command without starting with “Trainer says” first, any child that does the action is out and the game continues with the remaining players until there is one person left. 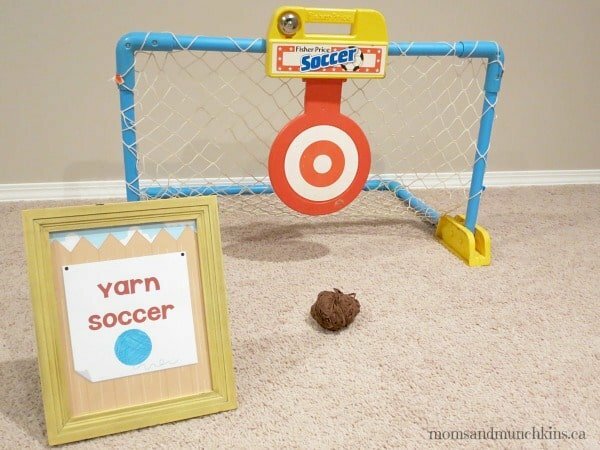 Yarn Soccer: This game is fun for both indoor and outdoor play! Kittens love to bat around balls of yarn so make a silly game of this by using a soccer net and a ball of yarn instead of a soccer ball. 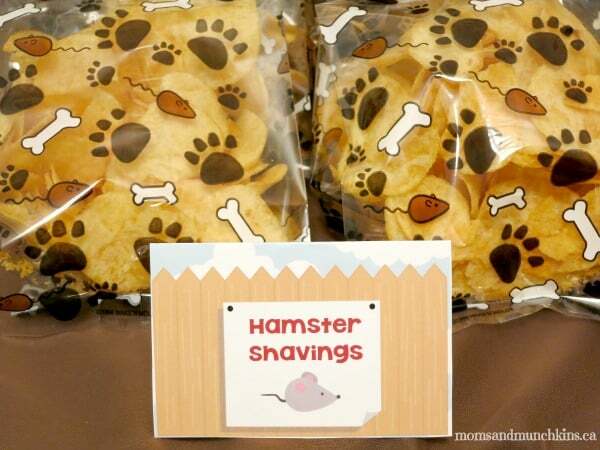 There are plenty of creative ways to plan pet-themed snacks that don’t taste like dog food! 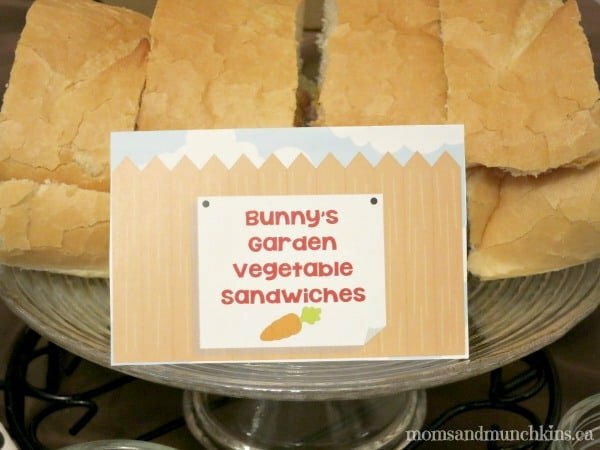 Small vegetarian sandwiches can be labeled as “Bunny’s Garden Vegetable Sandwiches”. Potato chips can be placed in a large chip bowl or individual bags and labeled as “Hamster Shavings”. 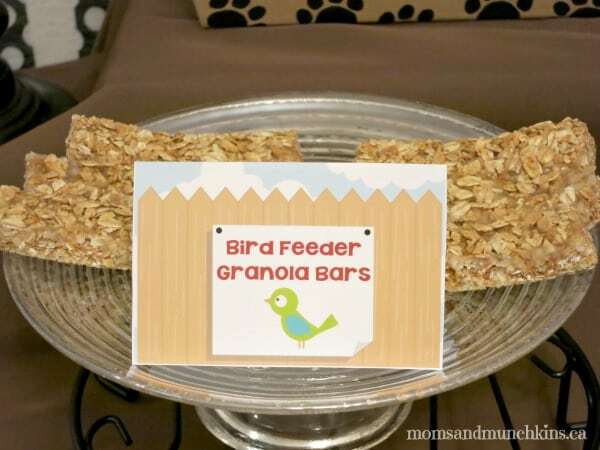 Granola bars can be labeled as “Bird Feeder Granola Bars”. 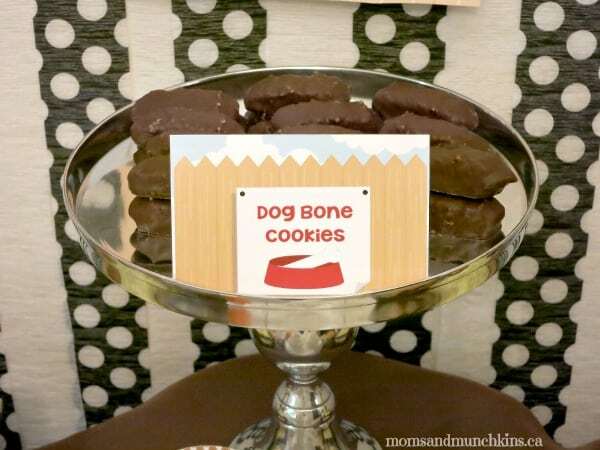 Using a sugar cookie recipe and a dog bone shaped cookie cutter, you can make dog bone cookies. You can also take a shortcut and use oval shaped chocolate treats. What would a pet shop party be without adorable pets, right? 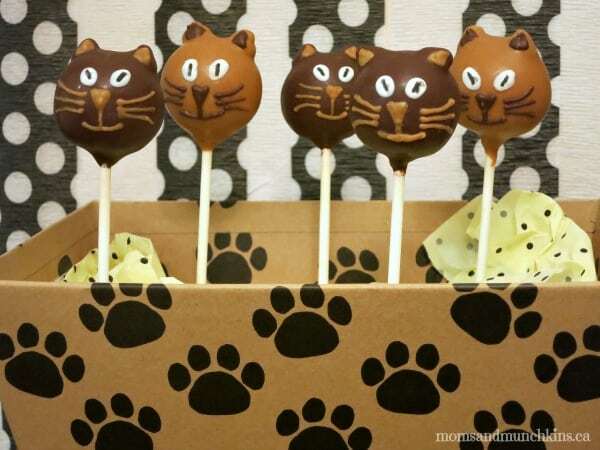 Serve cake pops in a variety of different animal shapes like dogs, fish, bunnies, mice, birds and cats. 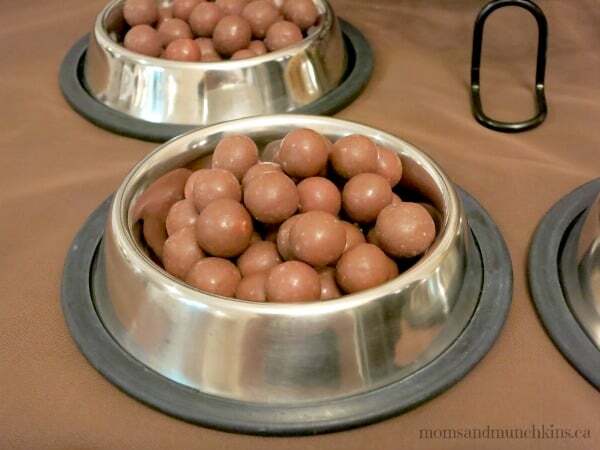 Small pet food dishes can be used for chocolate candies like malt balls or chocolate covered dried fruit. Cupcakes can be dressed up with printable cupcake circles. 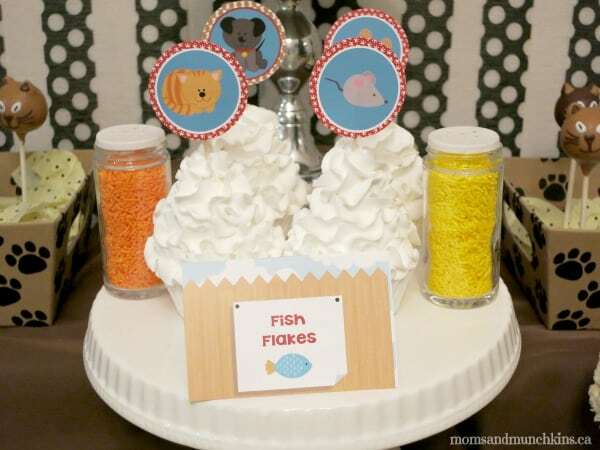 A couple of sprinkle jars can be labeled as “Fish Flakes” and guests can add sprinkles to their cupcakes. 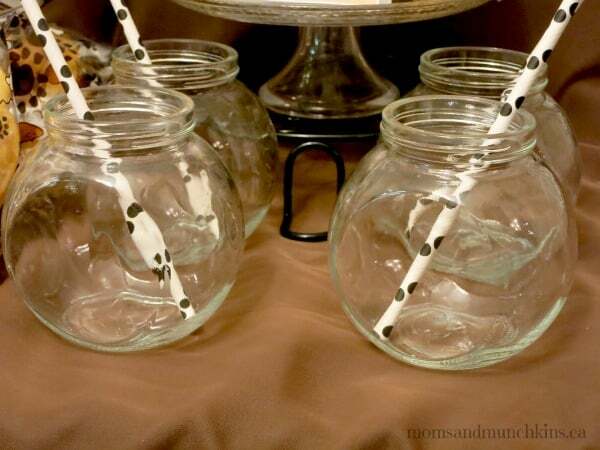 Mini fishbowls can be used for drinks along with paper straws. 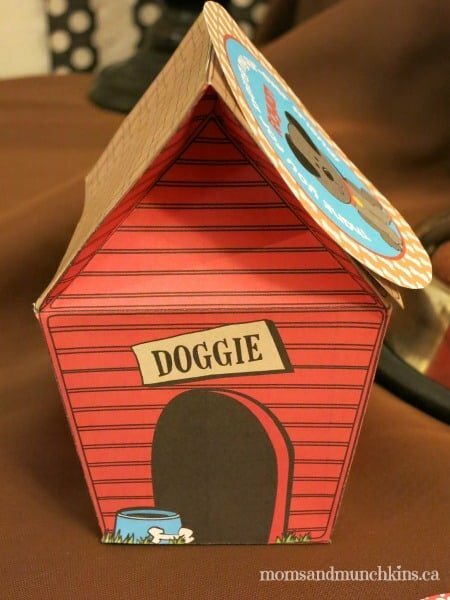 I love these mini dog house favor boxes! Simply add a personalized tag and you’re all set! Here are some additional party supplies and tips to where you can find some of the supplies that were mentioned in this post. Stay updated on the latest ideas for family fun and parties by following us on Facebook, Twitter, Pinterest and Bloglovin’. 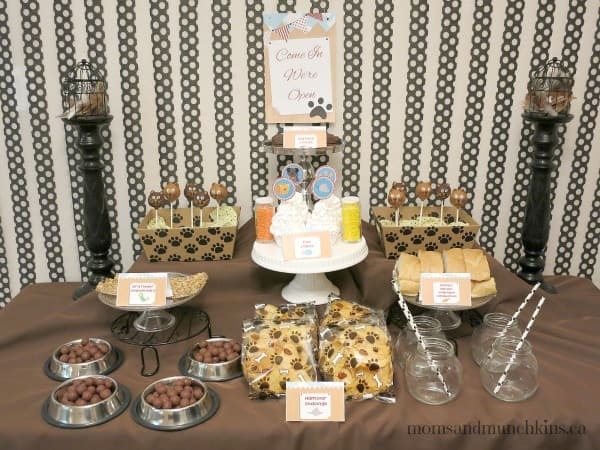 For more puppy party ideas, visit our special Puppy category! So many fun ideas! My 10 year old is a huge animal lover and this would be a great idea for her birthday party next year! Thanks so much for sharing on Best of the Weekend!